REBRANDING TO CREATE A DESTINATION WITHIN A DESTINATION. THE PROJECT: In April 2013, Catalyst Development Partners acquired Alexan Pier Park, a 360-unit luxury apartment community in Panama City Beach, Florida (PCB) - just steps from Laguna Beach, and a short drive to Pier Park Lifestyle Mall. This three-story garden-style community was completed in 2007-2008 with an average unit size of 1,005 SF. THE CATALYST: After purchasing the property, Catalyst renamed and rebranded the community as The Retreat at PCB. Our initial objective was to establish The Retreat at PCB as a permanent residence for local professionals within a desirable vacation destination. In addition to recreating the logo and branding positioning elements, Catalyst also conducted exterior capital improvements for enhanced curb appeal. 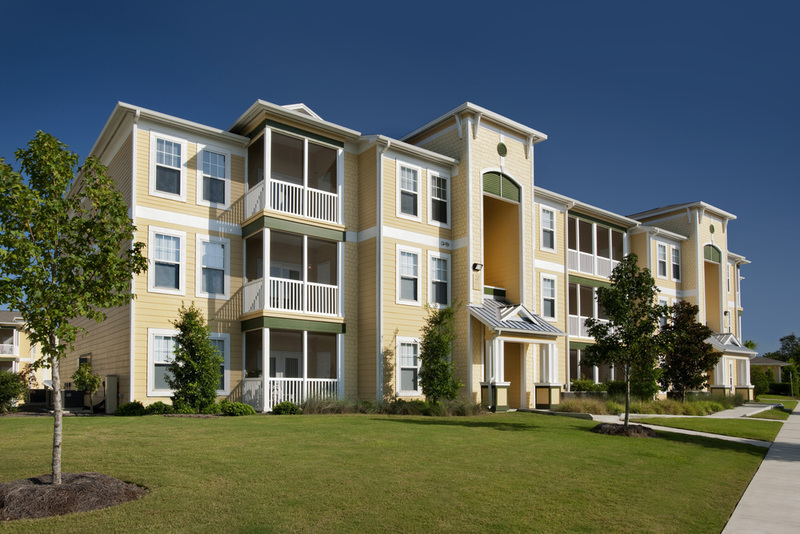 Early 2015, Catalyst implemented revenue management software and capitalized on the inherent rise in demand for PCB apartment communities in the area, particularly during the very busy Summer months. Additionally, Catalyst provided coaching to onsite property management to best position the community to new prospects and instituted the valuable position of an onsite Resident Event Coordinator who directly managed resident relations and events to improve resident retention. THE RESULT: By the end of August 2015, The Retreat at PCB impressively recorded over 8% rent growth with a significant improvement in resident retention. The Retreat at PCB maintains 95%+ occupancy with great interest from locals and Panama City Beach enthusiasts. Subsequent to the capital improvements, rent growth and improved resident retention, Catalyst Development Partners sold The Retreat at PCB in October 2015.